Lisa and Tom Cuchara have been teaching photography workshops together for over 13 years. They have taught workshops and presented programs at the New England Camera Club Council Conference, and at a number of camera clubs and for the Connecticut Association of Photographers. They offer camera, post-processing and on location classes and workshops. They also offer individual one-on-one workshops. They are patient and enthusiastic, and both very passionate about photography. Lisa's exuberance is contagious and she will inspire you with her skill and enthusiasm. Classes on using your Camera, Exposure, Manual, HDR photography, etc. 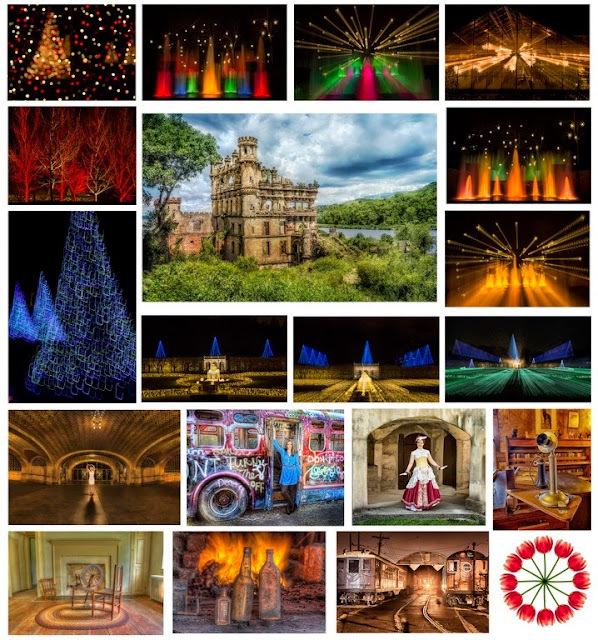 Project Nights -- come and work on a HDR or other photography project. We all have lots of images in our computer, these project nights are designed to get your photographs processed and for you to learn a particular post-processing skill you want to learn. Contact BREAphotos@comcast.net for more information. Also, sign up for Lisa's Blog: http://lifethrulisaslens.blogspot.com/ (free) to receive information about photography -- photo ops, new products, reviews, workshops, articles, exhibitions, etc. etc. Bio. Lisa and Tom, MNEC, are passionate about photography, both behind the lens and in the digital darkroom. They teach photography a variety of image capture and post-processing workshops and seminars, in the classroom and in the field. They love to photograph nature, but find capturing the essence of people equally intriguing. From birds and flowers to babies and HDR, they appreciate the world around them and embrace the challenge of interpreting what their eyes see and their hearts feel via the camera lens. Tom and Lisa are both very active in many local, national and international photography organizations. Tom is currently the Chair of the Connecticut Association of Photographers (CAP). Both Lisa and Tom are past presidents of the New Haven Camera Club, Lisa is also their webmaster and blogmaster. They have been photographing weddings, babies, parties, portraits, etc. professionally for over 15 years and have their own Photography Studio in Hamden. Their portrait philosophy is based on “We do not remember days, we remember Moments”. They have had many successful gallery exhibitions and their photographs have appeared in Adirondack Life, Wild Bird, Birder’s World, in calendars, on the cover of the Wolf Conservation Calendar and on the cover of paperback novel. They have presented a variety of instructional programs and workshops (Photoshop, Digital Workflow, HDR, RAW processing, Travel photography, Bird photography, plus fun and interesting travelogue slideshows at NECCC, PSA, and many other camera clubs and other organizations.